The Poodle Temperament and the Poodle itself has been caricatured so often as the epitome of a “spoilt dog”. Regardless the Poodle has all the instincts and the temperament of a retriever or gun dog, a role it continues to perform today. The Poodle is one of the most popular dogs either in its purebred form — it comes in three sizes: standard, miniature and toy — or in its “Poodle Mixes” or “Designer Dog” form, in which it has been crossed with a variety of other pure breeds to produce the Yorkie Poo, Labradoodle, Goldendoodle, Maltipoo and a host of others. 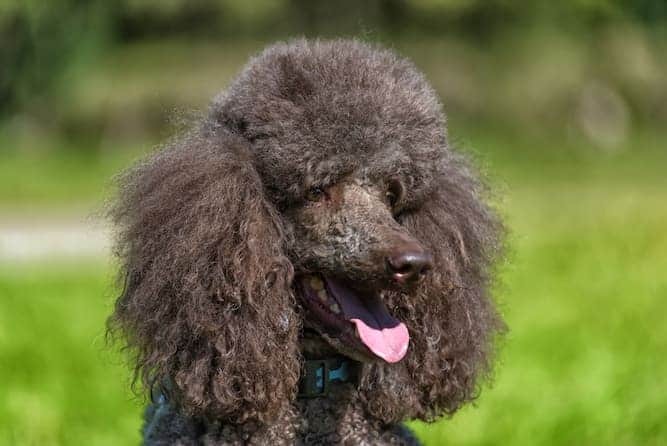 Before we dive into the Poodle Temperament traits this quick rundown on the Poodle's background will help you put this breed into perspective. The Poodle has probably been around since the 15th century. It appears to have been first bred in Germany but it rapidly gained favor in France and Spain, before ultimately gaining popularity in England. 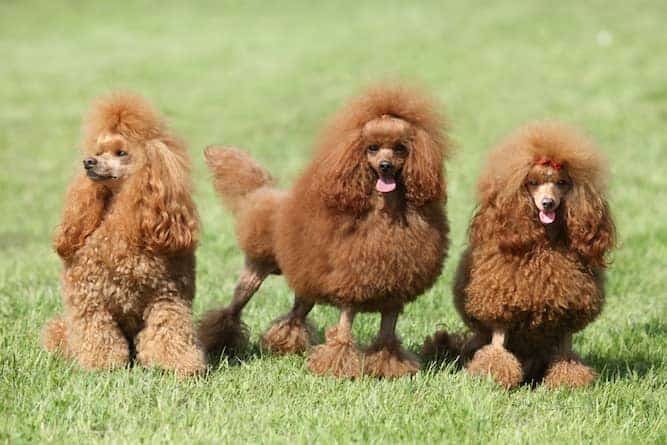 In their native Germany, Poodles were used for hunting. Their name is actually derived from the German “pudel” or “pudelin” – English for “to splash”. While they aren’t primarily known for hunting today, hunters still use Standard Poodles as working dogs around the world. In France, Poodles are called “Caniche”, meaning duck dog. In fact, Poodles are the national dog of France – even though they originated in Germany. Poodles were also used as guide dogs, military dogs, guard dogs, circus performers, and wagon pullers for entertainers. The typical Poodle, irrespective of size, loves to play. Their instinct to retrieve is always close to the surface. And, they are quite happy to horse around in the water. In fact, you need to ensure that your Poodle gets his daily dose of activity. A moderately vigorous hour every day should do the trick. Alternatively, an active presence in competition with all the activity that is part and parcel of it will do nicely. Without that release of energy, your Poodle will get bored and restless and will be quite prone to getting into trouble. The Poodle is noted for its intelligence. Many animal behaviorists suggest that it comes a close second to the Border Collie. Housetraining is usually a breeze, compared to a number of other breeds. And, the Poodle can pick up tricks quickly, in part because they love being the center of attention, but also because of their native intelligence. They can easily excel in agility competitions; besides, they are sure to enjoy the training sessions leading up to a competition. The Online Dog Trainer by Doggy Dan a world-class Dog Trainer from New Zealand is worth taking a look at. This online resource has hundreds of fun informative dog training videos that will help you learn the basics (and beyond) if you want to take your Poodle's training to the next level. Many owners report that their Poodles, especially the male ones, tend to be highly instinctual. There will be a somewhat excessive tendency to mark their “territory”, so be sure to take housetraining seriously while he is young. Their retriever instincts also make them more than likely to respond to “prey”, like birds or squirrels. Obedience training is a must if you want to keep matters under control when out in the woods for a walk. The Poodle is one of the more alert breeds. That’s probably an offshoot of their intelligence and hunting instincts. Irrespective, they are quick to respond to approaching strangers or within their “territory”. The incessant barking of an untrained Poodle can easily become a nuisance to you and your neighbors — in an apartment complex for example. A typical Poodle is an extrovert. It thrives in a large, active, household. Heaven is being the center of attention while it performs its tricks. This, of course, has its downside as well, because a Poodle that’s left alone for long periods of time could well become more than a trifle “neurotic”. If you find that your Poodle is becoming destructive, one of the first things to do is give him more of your time. One of the simplest ways to accomplish that is through a “talking” outing — for example, a quick walk or run during which you are regularly conversing with him. Some Poodles have been known to respond inappropriately to normal stimuli. Often, this high strung behavior is a result of one of two extremes: either he is being over-pampered or he has been ignored during the critical socialization period (4 to 14 weeks of age). Such dogs can even become “biters” — not fun at all. While generally an all-around friendly breed, Poodles tend to prefer human company to dog company. They’d much rather hang out with you on the couch than frolic with their four-legged friends. But, they still prefer some company over no company. If you aren’t home often, consider getting your Poodle a furry companion. Despite being an overall friendly breed, the Poodle can be reserved with strangers when introduced for the first time. While they are known to be affectionate with their families, it could take some time for them to warm up to new people. Take caution when introducing your Poodle to someone new to avoid an unwanted growling or snapping. And, if they spot a potential intruder, they will absolutely let you know with a warning bark. If you’re in the market for more of a working dog than a companion, the Poodle may be perfect for you. Since they were bred as a gun dog for duck and bird hunting, their temperament will still show signs of their ancestors. This is a breed that is in tune with human emotions. Poodles can often tell if there is tension in the home or if family members are exceptionally emotional. They are sensitive to stress and can end up with behavior or health issues if family problems persist. A peaceful home is a happy home to a Poodle! Note: Speaking of Poodle Health Issues if you agree that your health and your dog's health should be a top priority then get a copy of The Ultimate Guide to Dog Health. Your Poodle friend will love you for it. 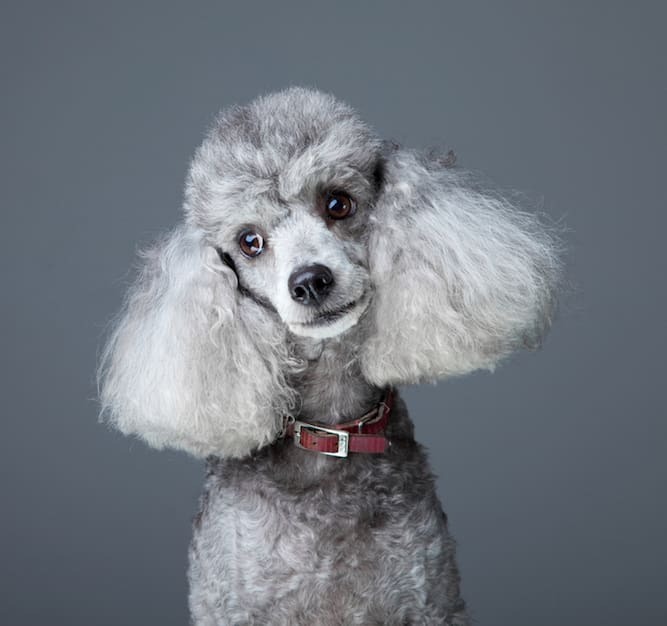 This guide will help save you money, time and most of all help you spot the warning symptoms early to keep your poodle healthy. Unmistakable with its fancy haircut, you may believe the Poodles haircut is just for looks – but that can’t be farther from the truth. Their coat was clipped in that signature Poodle cut – left longer on the chest – to help them swim and keep them warm in cold water. 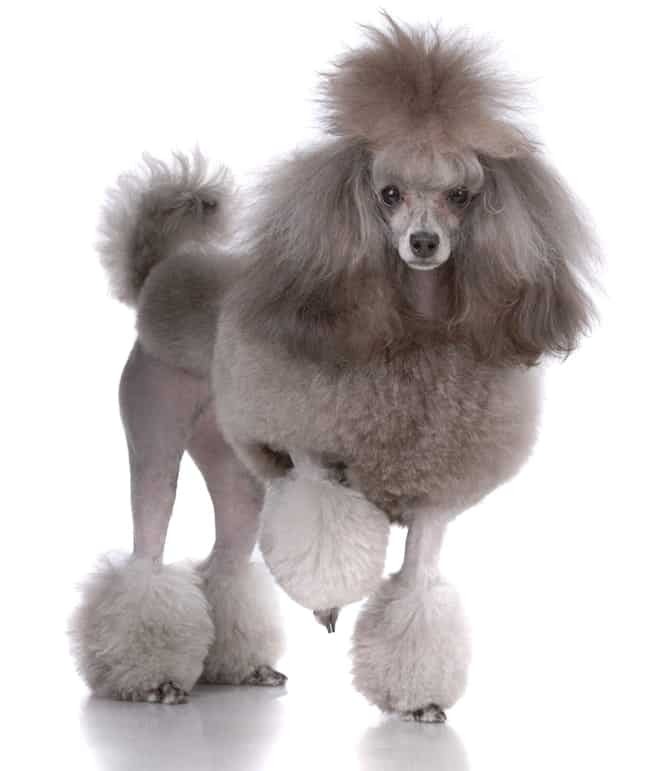 And, some Poodle enthusiasts believe those classic puffs were used to help protect the tail tip and leg joints while hunting. For those who aren’t a fan of fur, Poodles are their best bet. They don’t continually shed and are wonderful for those with dog hair sensitivities. In addition to no shedding, they are ‘clean’ dogs. 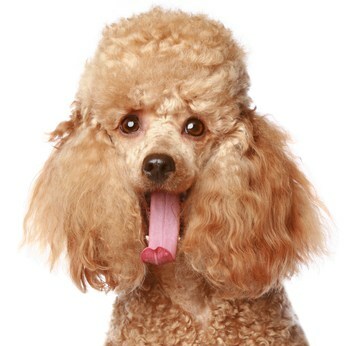 Poodles have been known to lack the “dog” smell often associated with other breeds. Don’t rush into adding a Poodle puppy to your family. Before you introduce one to the family, you’ll need to decide if you want to buy a puppy from a breeder or adopt one from a rescue. 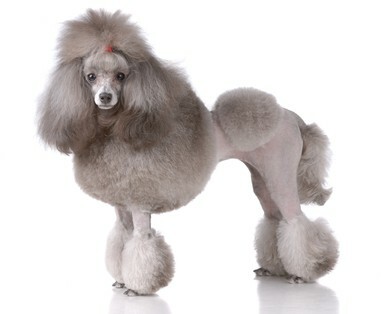 You will also need to decide what size Poodle you’d like: Standard Poodle, Miniature Poodle, or Toy Poodle. 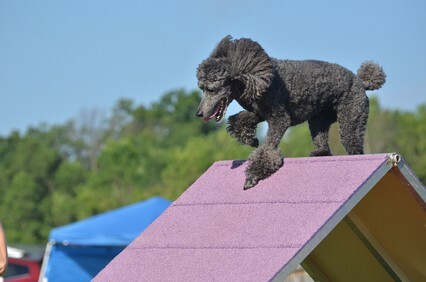 While all three sizes are comparable in temperament and personality, the Standard Poodle is the most athletic thanks to its larger size and strength. For families looking for a smaller dog, consider the Miniature or Toy Poodle. Prices for a purebred Poodle will vary based on their size, where you live and availability of litters. Standard Poodles for sale can cost anywhere between $2,000 to $5,000. Toy Poodles will cost between $750 to $1,200. Adopting a Poodle puppy or dog costs an average of $250 but also depends on the rescue organization and where you live. Looking to adopt a Poodle puppy or dog? You’ve got options! There are dedicated Poodle Rescues that offer Poodles or Poodle mixes for adoption. 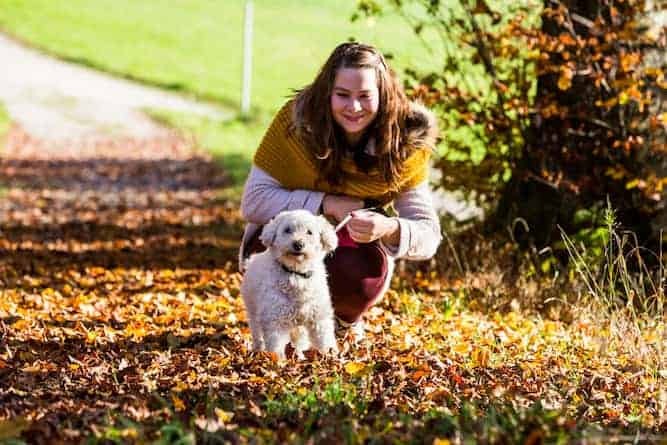 In addition to dedicated Poodle Rescues, there are non-breed specific animal rescues and shelters that have a wide range of purebreds and mixed breeds. 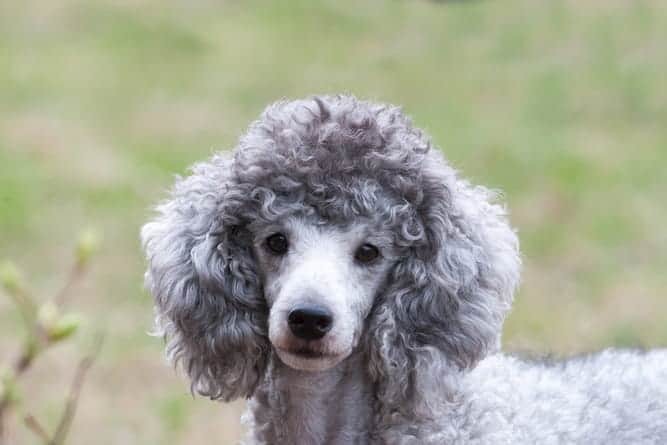 Try reaching out to your local rescue organization to see if they have any Poodles or Poodle mixes available for adoption. Keep in mind that if you adopt your Poodle from a local shelter, you may not know the dog’s entire history. While rescues conduct a thorough medical and temperament exam, it’s nearly impossible to know their complete history. Most rescue organizations or shelters offer training and additional medical care at a reduced cost post-adoption. When it comes to Poodle breeders, research is your best friend. Search online for local breeders and coordinate an in-person visit to meet them in person. Have a list of questions prepared about not only their puppies but the breed in general. This will help you decide if they know the breed they are breeding! Responsible breeders will be patient, knowledgeable, and friendly. Make sure you meet the Poodle puppies’ parents and see their full medical history. All reputable breeders will be more than happy to show health certificates. And finally, if you are purchasing an AKC registered Poodle puppy, don’t leave without the proper documentation. 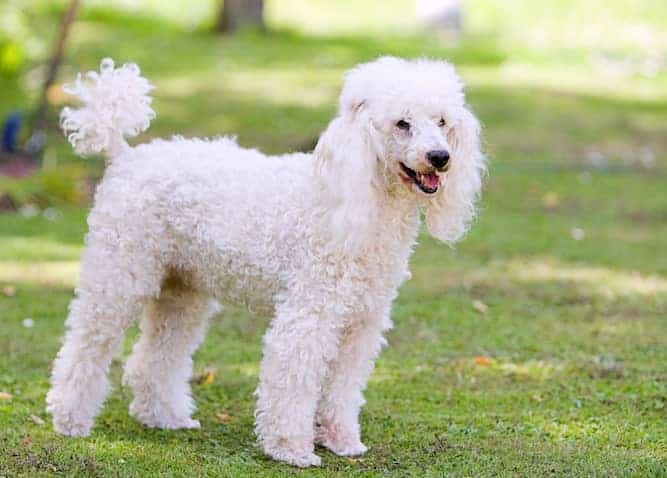 Now that you know these Poodle temperament traits, It is any wonder that it has regularly made the top ten registered breeds at the AKC for the past few years? However, like any breed that combines intelligence with high activity, it does need a higher than average level of effort on your part. Also, appropriate socialization is very important when he is growing up. And, he needs to be engaged with you and your family much more than most other breeds. If you already are a family that enjoys remaining active and doing fun things together, your Poodle will fit right in. Next post: Poochon (Bichpoo)- The Bichon Frise Poodle Mix: Do You Want/Own One?